This season is starting to feel remarkably like 2012, when I first got my plot. 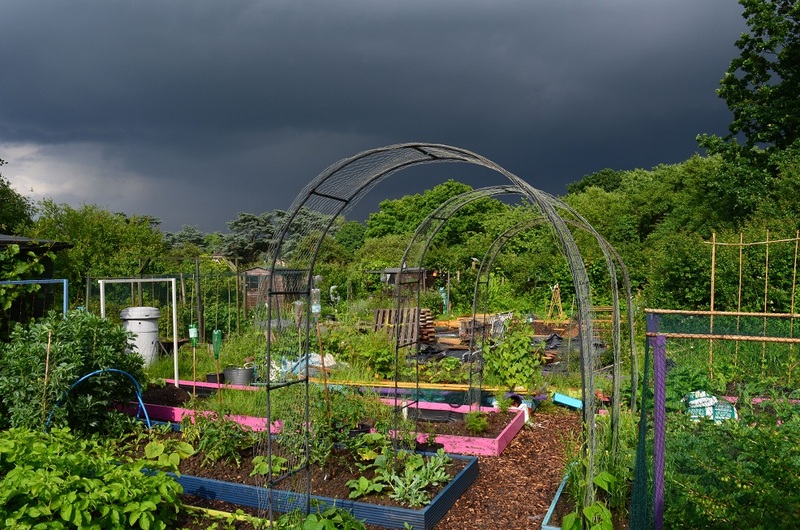 The heavens opened just after I stuck my spuds in and stayed that way for nearly the whole summer. Most of my spuds drowned. I was perfectly fine today, bimbling around the plots, dispatching slugs, potting on a stray chilli or seven and turning the contents of my daleks. 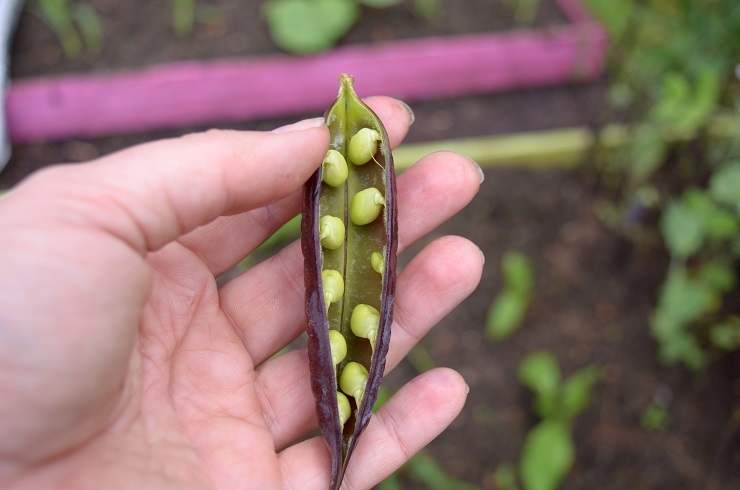 I even had time to sample my first purple-podded peas. Verdict? I did pick them a little early. But, as well as being wonderfully easy to spot, the peas are so tasty that I don’t think any of them are going to make it home. And then it went very dark. I’ve not moved so quickly in a while and only just made it to the shed. Forty minutes later I slipped and slid to my car through the small stream running down the main path. Ah, hiding from the rain in the shed – I remember those days well from when we had our allotment. Hope you didn’t get too soggy.